LEGO Aqua Raiders! Explore the sea with LEGO Aqua Raiders. Search for underwater treasures and monsters! 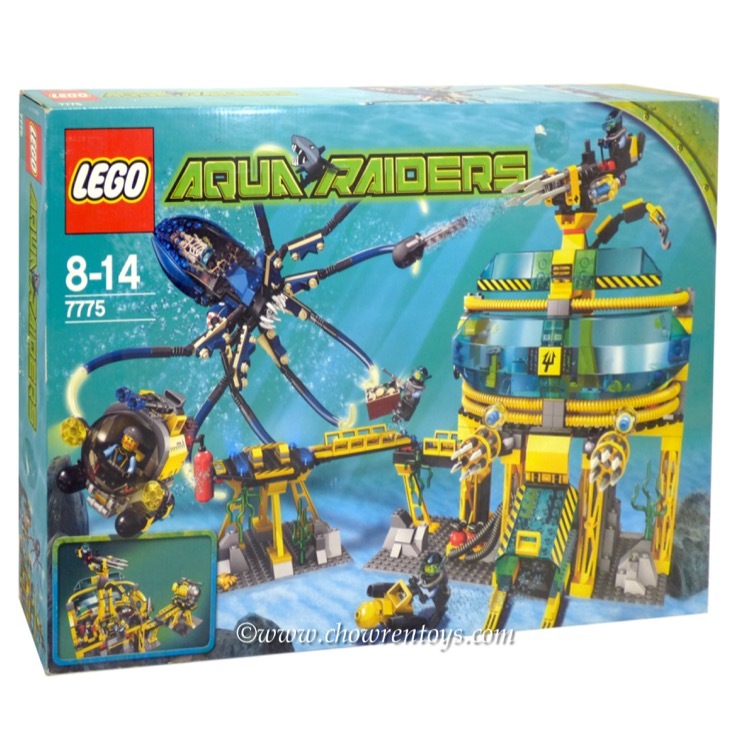 This is a BRAND NEW set of LEGO® Aqua Raiders 7775 Aquabase Invasion from 2007. This set is still factor sealed, however the box has sticker damage along the side and the front as well as creases, dents and shelf wear. 840 pieces and 5 minifigures©. 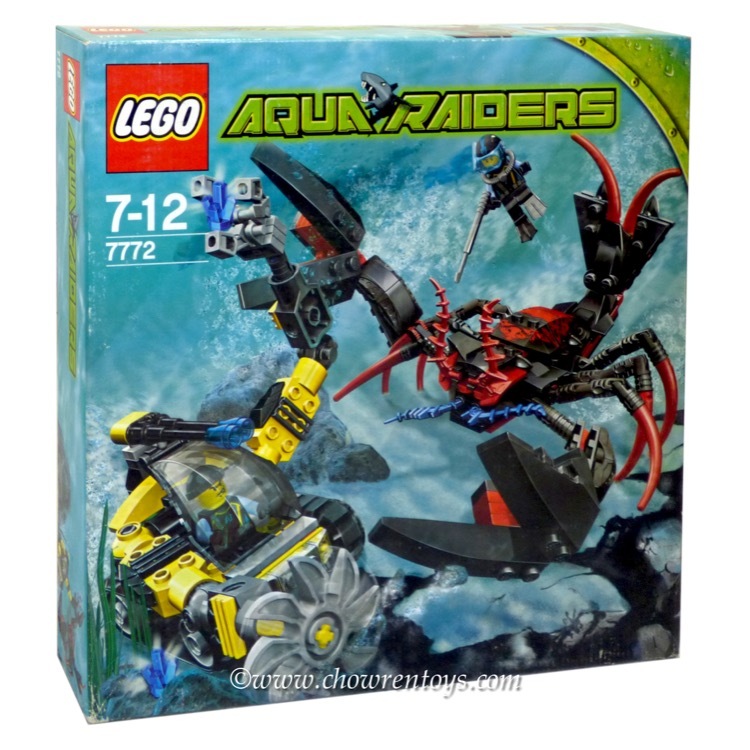 This is a BRAND NEW set of LEGO® Aqua Raiders 7772 Lobster Strike from 2007. This set is still factor sealed and the box is in very good condition with minor shelf wear. 223 pieces and 2 minifigures©.